IRS Tax Audits | IRS Notice | Call Stuart C Hill Jr., CPA, PLLC! Receiving a tax audit notice from the IRS generates many questions. Why am I being audited? What should I do next? Will I have to pay a large tax bill? If you’ve received an IRS notice, turn to Stuart C Hill Jr., CPA, PLLC for fast answers and professional support. 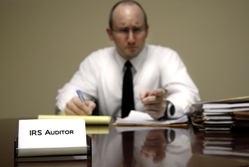 There are many possible reasons that you’ve become the victim of an IRS audit. Failing to report a portion of your income, claiming certain types of loses on your tax return, or taking large charitable deductions, could raise a red flag to the IRS. Believe it or not, even making a lot of money can increase the chances that the IRS will take a closer look at your tax returns. 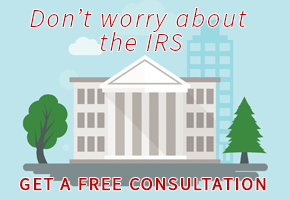 No matter what motivated the IRS to audit you, we’ll walk you through the steps you need to take to survive the audit with minimal financial consequences. First, we’ll review your tax notice and explain what the IRS is looking for and why. Next, we’ll prepare by helping you gather and organize any records, receipts, and other necessary financial documentation. When it comes time for the audit, we can represent you in front of the IRS examiner and make your case. If you feel the tax auditor's assessment was unfair, we can assist with the appeals process. Or, if you end up owing the IRS money and can’t afford to pay the entire tax bill all at once, we’ll work directly with them to establish a reasonable payment plan like an installment agreement. The average taxpayer is no match for an experienced tax auditor. Even if you’ve filed your tax returns on time and feel you’ve done nothing wrong, the IRS may find an unexpected error or uncover an expensive mistake. At Stuart C Hill Jr., CPA, PLLC, we understand how the IRS operates and know how to answer an auditor's questions truthfully without creating any additional tax problems. Working with our tax professionals will ensure that your case has the best outcome possible. Call us at 817-332-3320 now or request a consultation online.